Please discuss your situation with the Auburn University Medical Clinic. Please visit Auburn University Parking Services located on the 2nd level of the South Quad Parking Deck at the corner of Lem Morrison and Duncan Drive. . Provide Parking Services with a copy of your tag receipt. Provide the Office of Accessibility a copy of your tag receipt stating your placard number. The placard number and expiration date will be entered into the Auburn University Parking Services’ system by our staff. Once the Office of Accessibility receives your information, we will contact you regarding the next step. Parking priviledges must be renewed yearly through Parking Services. The Office of Accessibility need not be contacted yearly unless your placard has been updated. If this is the case, please submit a copy of your most recent tag receipt. Visit the campus map to view the accessible parking on campus. 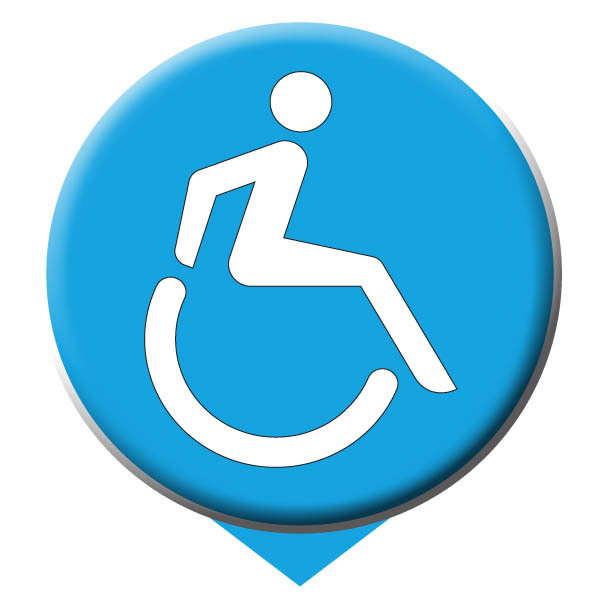 You will need to click the "Placemark" button located in the upper left corner of the map and then select parking under the title "Accessibility Placemarks". If you should find that the location of the accessible parking is displayed incorrectly, please contact the Office of Accessibility at 334-844-2096.